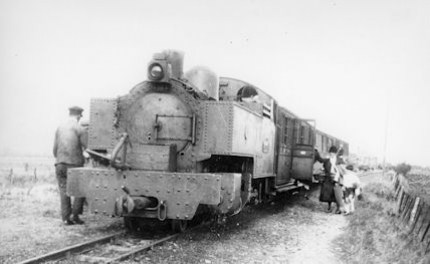 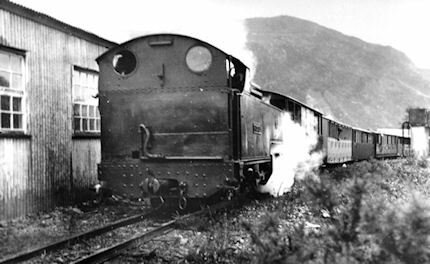 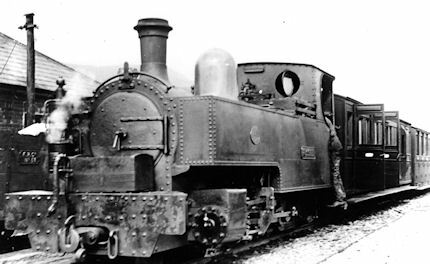 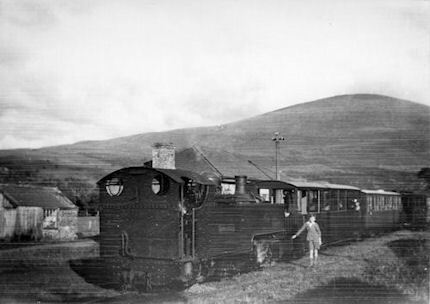 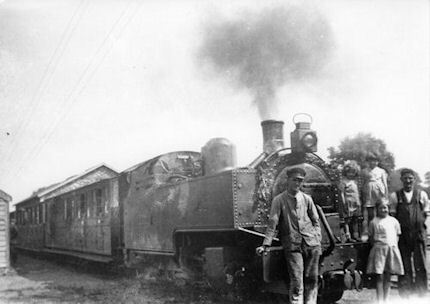 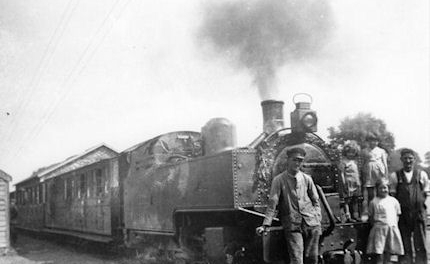 'Russell' and train at Portmadoc New (1931) facing south. 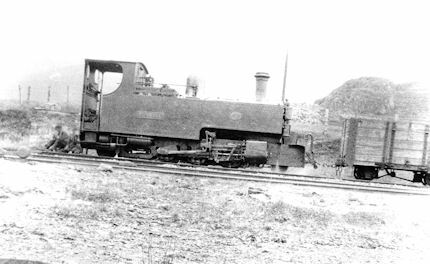 Stoker - Goronwy Roberts. 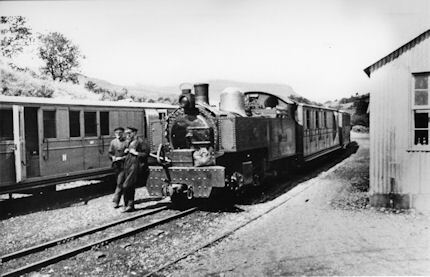 Passengers alighting. 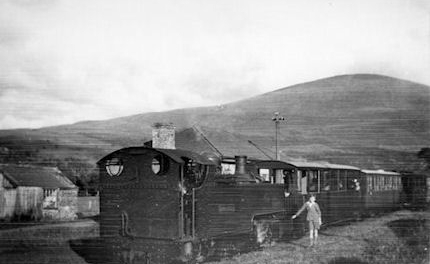 'Russell' at Rhyd Ddu with 5-plank coal wagon. 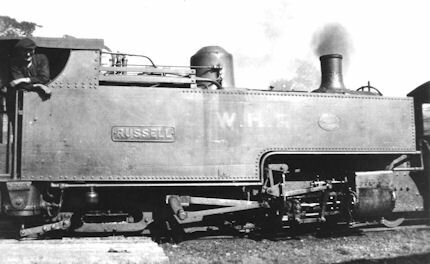 Westinghouse & vacuum brakes fitted. 'Russell',train & crew at Beddgelert. 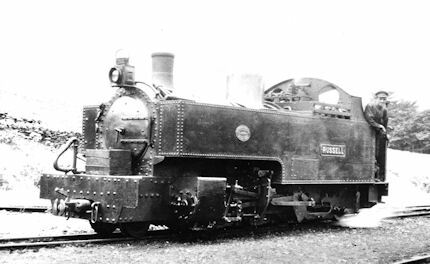 Russell ready to depart from Dinas. 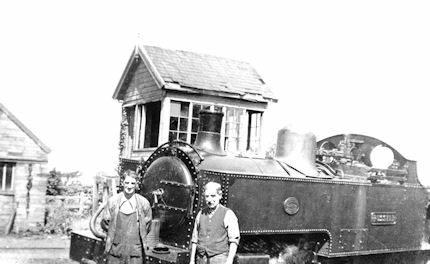 Goronwy Roberts (l) & Hugh Roberts with three of the his daughters.